Weekend Watchlist: Happy Pi Day! Today is a very special Pi Day. The month, day, and year are equal to the first five numbers of pi, which are 3.1415. I hope that you are celebrating with mathematical joy by solving some geometric equations. Or perhaps you like to take the “punny” route and bake a pie on Pi Day. Whatever floats your boat is fine by me. I know I could easily pick Life of Pi or Pi for my Weekend Watchlist, but I’ve decided against both since neither is on Netflix streaming. (Also, I’ve never seen Pi.) 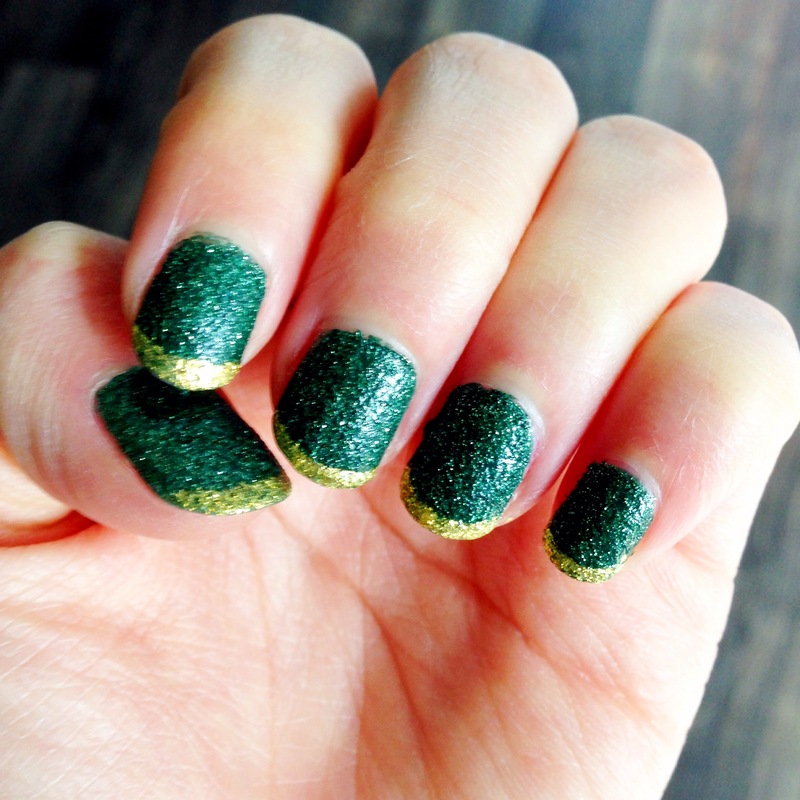 I know you people like instant gratification. Therefore, I choose I.Q. The story of I.Q. is by Andy Breckman, the man who gave us Rat Race and Monk among other comedic gems. (He also wrote for SNL and Letterman.) He shares writing credit with Michael Leeson who has written for just about every classic show on Nick at Nite. (Sidenote, what’s the deal with all the new shows on Nick at Nite?) I.Q. was directed by Fred Schepisi who directed Steve Martin’s huge schnoz in Roxanne. This is a good start right? 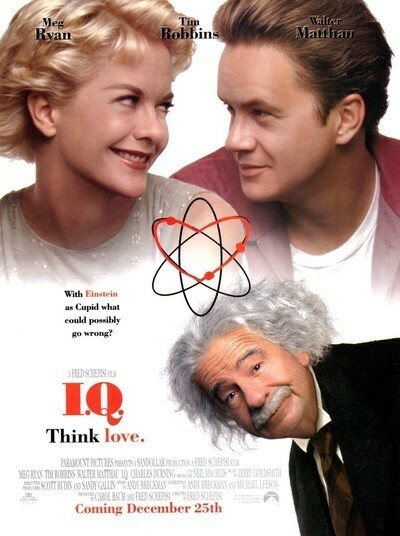 In I.Q., Meg Ryan plays Catherine, granddaughter of Einstein (who is played by what looks like his twin brother AKA Walter Matthau). Tim Robbins plays Ed, the car mechanic who has no chance with Catherine because of his average intelligence. Hijinks ensue. This is not a complex movie. This is a sweet rom-com that’s perfect for a lazy weekend. First of all, how dare you?! Second, I have picked another movie. Hold your horses. The Secret of Kells is a spirited, fictionalized account of how the famous Book of Kells was made. (The Book of Kells is an illuminated book of the four gospels. It is stunning. 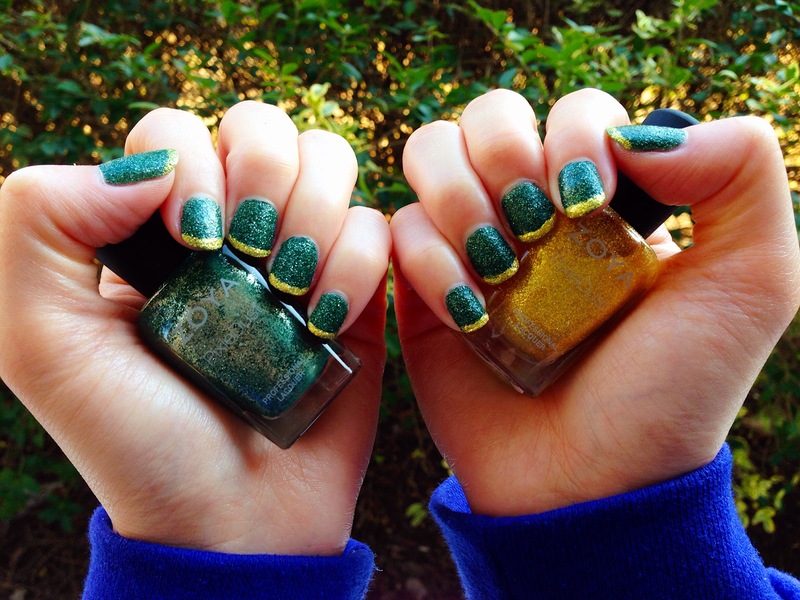 Google it after you read this post posthaste.) The animation is beautiful, and the story takes it time weaving around old myths and faeries. I won’t say anymore because I don’t want to spoil the plot. 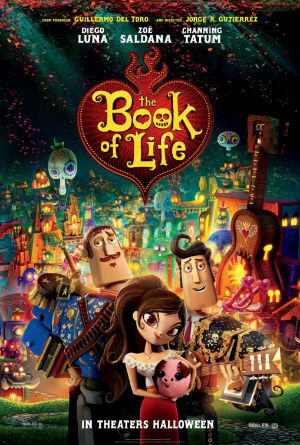 I was pleasantly surprised by this movie, which was nominated for an Oscar in 2010 and an Annie in 2009. Its is also available on Netflix, so you don’t have to wait until the 17th to watch it. February is Black History Month, so I wanted to incorporate some celebratory movies into our regularly scheduled couch surfing. I should have posted this Watchlist on the first of the month, but I had a hard time finding a family-friendly movie to recommend. Since the history of African Americans includes many afflictions, most of the movies I wanted to include are not appropriate for little eyes. 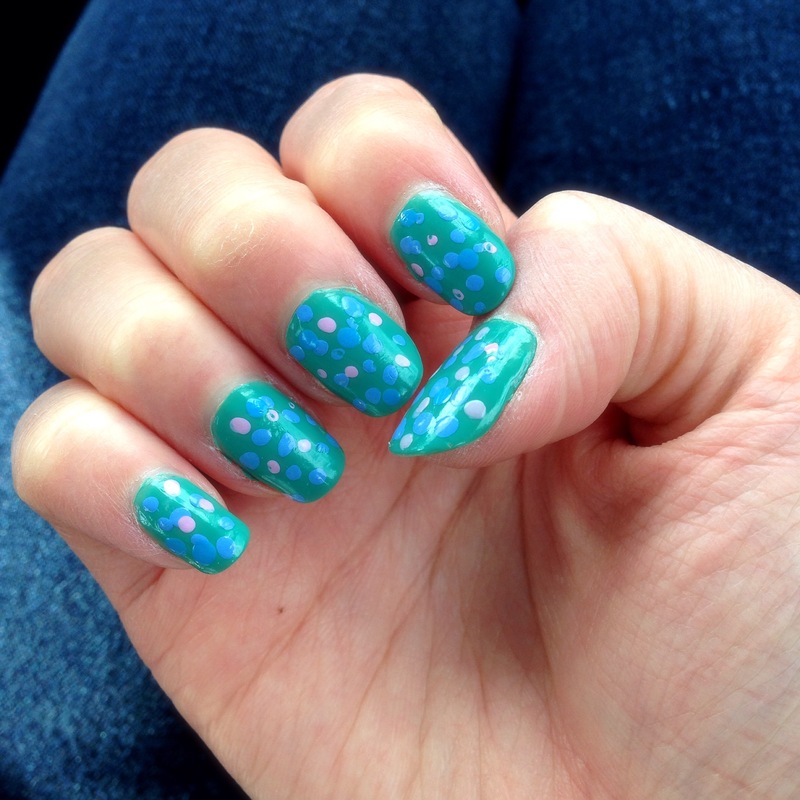 I finally found a good one today, so I am writing this post as fast as I can. 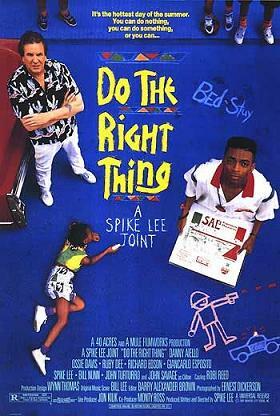 Starting with the oldest released film, I recommend Do The Right Thing released in 1989. This is not just a movie about a Brooklyn pizza delivery guy and his friends sweating it out on a sweltering summer day. It’s about how deeply ingrained racism is in our society. People are not good or bad but good and bad. Writer/director/actor Spike Lee was nominated for Best Original Screenplay, and Danny Aiello was nominated for Best Supporting Actor at the 1990 Academy Awards. Do The Right Thing is available for rent on Amazon Instant. 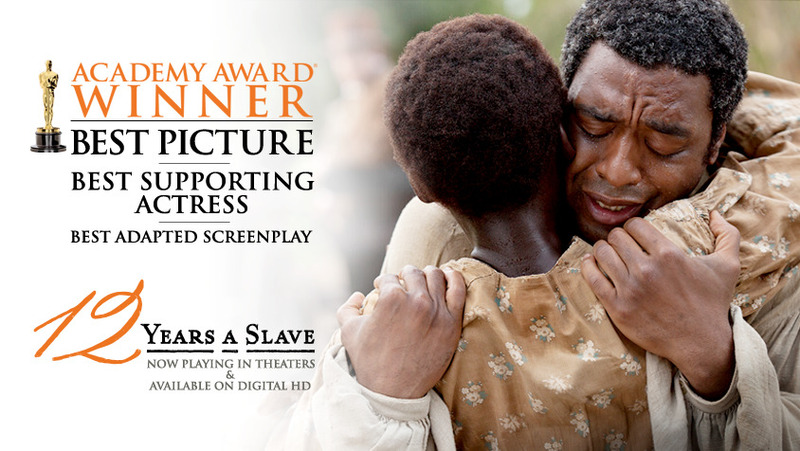 You probably watched 12 Years a Slave when it was released in 2013 or after it was nominated for practically every award at the 2014 Oscars and won Best Picture, Best Supporting Actress, and Best Adapted Screenplay. However, it’s still worth a mention. Based on Solomon Northup’s memoir of the same name, 12 Years a Slave shows the horror and struggles of a free-born New York man who is captured and sold into slavery in Louisiana. If you haven’t seen this brilliant movie, you should. I may or may not have cried at the end of this movie. 12 Years a Slave is available on DVD at Netflix. Please do not watch the aforementioned R-rated movies with your toddlers. (Or at least don’t blame me if they don’t like them.) It was not an easy task to find a film about Civil Rights for children, much less a well-made one. This film is based on the children’s book of the same name by Christopher Paul Curtis, which won several awards including the Newbery Honor. This movie might be a little slow for younger viewers, but it is still appropriate to watch with all ages. Your kids also might recognize the voice of the mom from The Princess and the Frog. That’s right. Princess Tiana is now a mom of three. 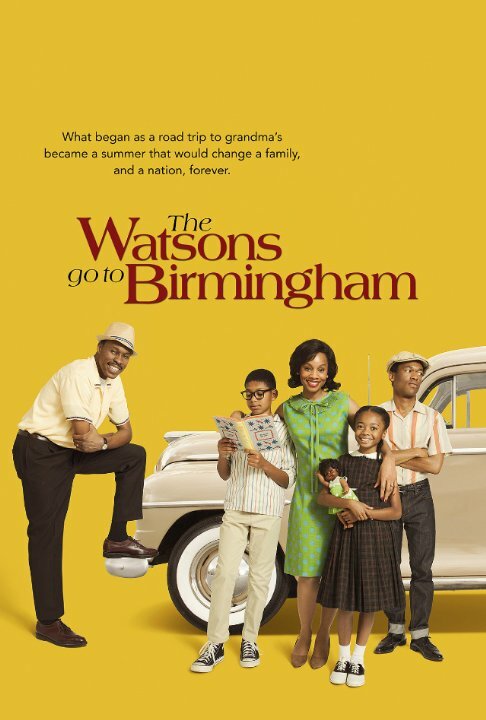 This movie is about a family from Michigan who goes to visit their grandmother in Birmingham, Alabama during the tumultuous year of 1963. I have a special place in my heart for Civil Rights movies that include Birmingham and the 16th Street Baptist Church because I visited the church and the Birmingham Civil Rights Institute when my husband and I relocated to Birmingham in 2012.The most heart-breaking part of the Institute was the portion dedicated to the little girls who died in the 16th Street Baptist Church bombing. There can be no greater evil than the murder of innocent children. 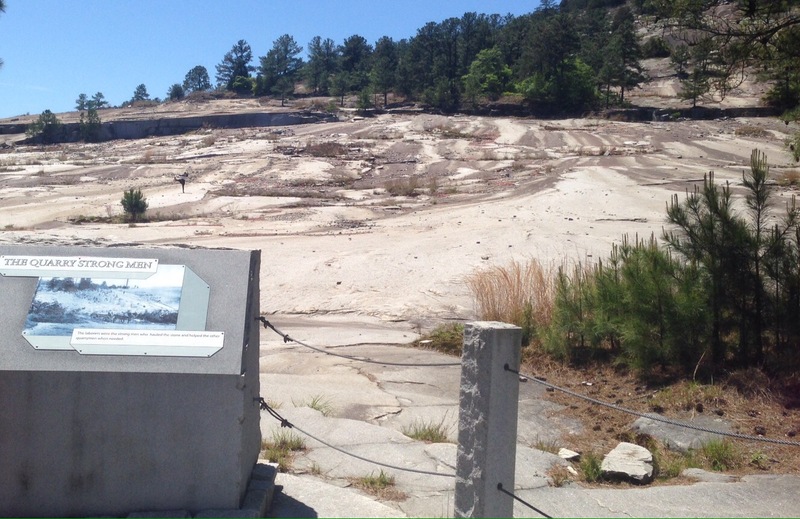 I learned a lot while I was in Birmingham. Did you know that Asian American children were segregated in schools too? 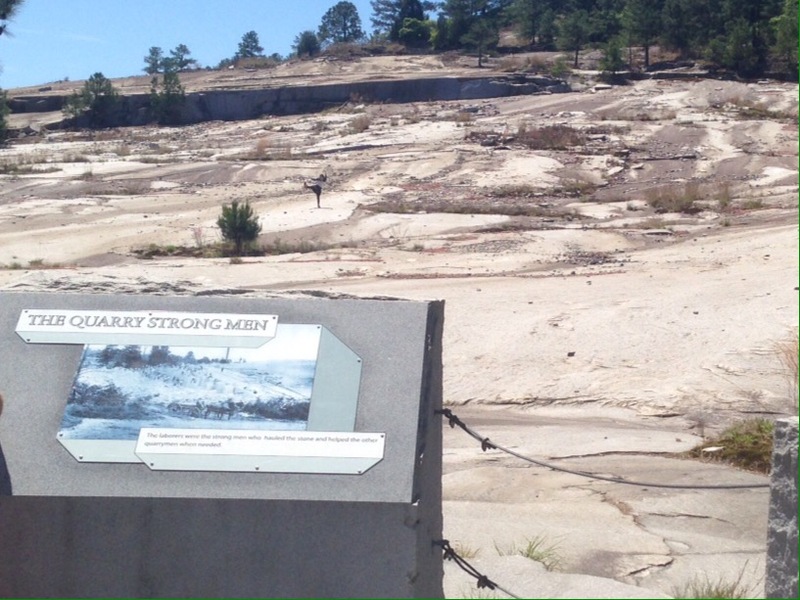 Chinese American children were segregated, but Indian American children were declared to have the same ancestor as Scandinavians and therefore declared white. I learned about it at the Civil Rights Institute. It’s weird because the 60’s were not that long ago. It could have been me attending a colored-only school or having to sit at the back of the bus. I feel very grateful to everyone who was part of the Civil Rights Movement, and I celebrate the proud history of African Americans. This Oscars are this weekend, and I will be watching it despite my misgivings about the academy (previously & briefly discussed here). Usually, the best part of the Oscars is the red carpet pre-show. However, since Neil Patrick Harris is hosting, I assume that the best part of the show will be his musical opening number. February is Black History Month. I actually wrote a Weekend Watchlist post celebrating this fact during the first week of February but didn’t post it because I am looking to add a kid-friendly film. 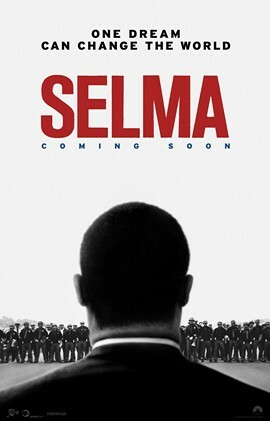 I will say more about this movie and Black History Month next weekend. However, if you would like to learn a little bit more about Civil Rights Movement (which wasn’t that long ago), then Selma is the movie for you. David Oyelowo’s performance is perfectly nuanced, and there’s some fun camera moves in the film. “Glory” by John Legend and Common is nominated for Best Original Song. I haven’t seen all of the Oscar nominees yet, but Whiplash is my favorite thus far. As a former student musician (with far less talent than anyone in this movie) and a person with an addictive personality, I might even enjoy this movie for the wrong reasons. Whatever the case may be, I really like this film and must give props to a guy who will play the drums until his hands bleed. Whiplash is nominated in several different categories: Best Picture, Best Actor in a Supporting Role (J. K. Simmons), Best Editing, Best Sound Mixing, and Best Adapted Screenplay. The last nomination is crock because Whiplash was originally written as full-length screenplay. However, parts of the screenplay were turned into a short film, which is why it is egregiously allowed to be a part of this category. You haven’t seen any of the Oscar-nominated movies yet. What do you do? You go see/rent Big Hero 6 because it is nominated for Best Animated Feature Film and also include Best Short Film: Animated. 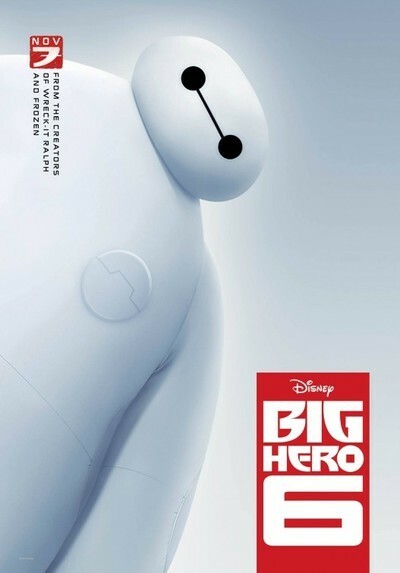 The animation for Big Hero 6 wasn’t as revolutionary as How to Train Your Dragon 2, but the story was far superior (and really the animation is nothing to sneeze at). Also, the short film, Feast, is beyond adorable. Spoiler alert: Feast involves a puppy! You don’t care about the Oscars and want to watch something at home in your pjs. Good for you. 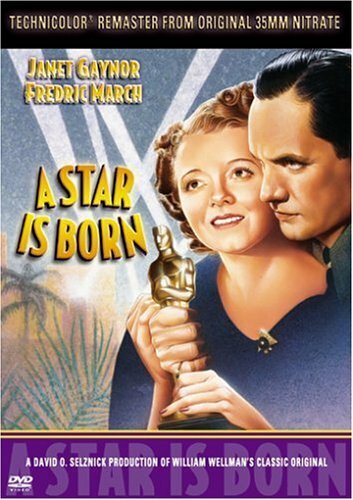 My pick for you is the original 1937 version of A Star Is Born (available on Netflix streaming). Not only is this an excellent movie that won Best Writing Original Story and Special Award for color photography, but also it includes a scene at a fictional Oscars ceremony. Whatever you decide to watch (or not watch), may you have an amazing and cold weekend. As for me, I’ll be enjoying the cold weather by renting Box Trolls on Saturday and playing Jessica Jones’ annual Oscar Bingo, which can be downloaded for free on her blog here. Valentine’s Day is one of my favorite holidays. My husband and I take turns being in charge of it every year because it’s really not fair to make the men do all the work (just like women shouldn’t have to do all the housework). I have planned a whole weekend of fun for him, but I can’t tell you about it because he reads my blog. He might even be my only reader this weekend. 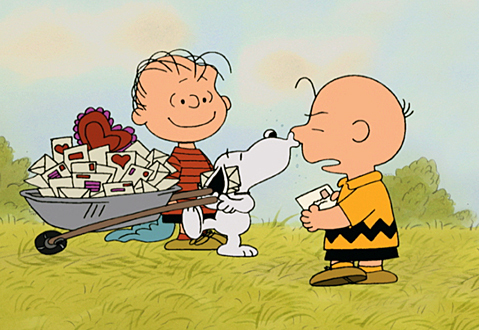 If you missed it yesterday, you can still watch Be My Valentine, Charlie Brown online here (if you are a cable subscriber). I’m really bummed that all of the Charlie Brown specials are no longer on Netflix, but I guess it was a really good strategy for ABC. I saved the best for last. This might be a shameless plug since my husband was the lead editor on this movie, but Old Fashioned is a realistic look at how hard it is to date (specifically for those who are Christians). The cinematography is beautiful, and the music is great. (I would say something about the editing, but you know I’m biased). Check it out at your local movie theater. I hope you’re having a great Valentine’s Day. I ate so much chocolate that I gave myself a stomach ache. It’s the weekend! It’s time to sit on our couches and watch stuff. After all, isn’t that the American dream? I have a tradition of watching every Peanuts holiday special. It makes me feel all warm and fuzzy inside. 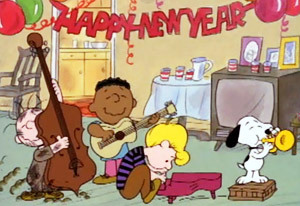 If you haven’t already watched Happy New Year, Charlie Brown, then do so immediately here. 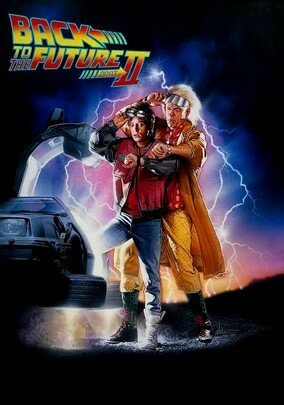 Also, since it is 2015, I feel that it is my duty to recommend that you watch Back to the Future Part II. If you are one of those people who cannot watch a trilogy out of order (ahem, me), then you better start watching them ASAP. If you don’t own Back to the Future on VHS or DVD, then you can either order the DVDs on Netflix or rent it on Amazon Instant. The Oscar nominations were announced this week. Currently, there are only two nominees on Netflix, Virunga and Ida. I have not watched either of them yet, so I’ll talk about them later. There is much controversy over the Oscars. All of the nominated actors are white. The last time this happened was in 1995. All of the nominated directors and screenwriters are men. All of the films nominated for best picture feature a male as the star, and only one of those stars is not white. 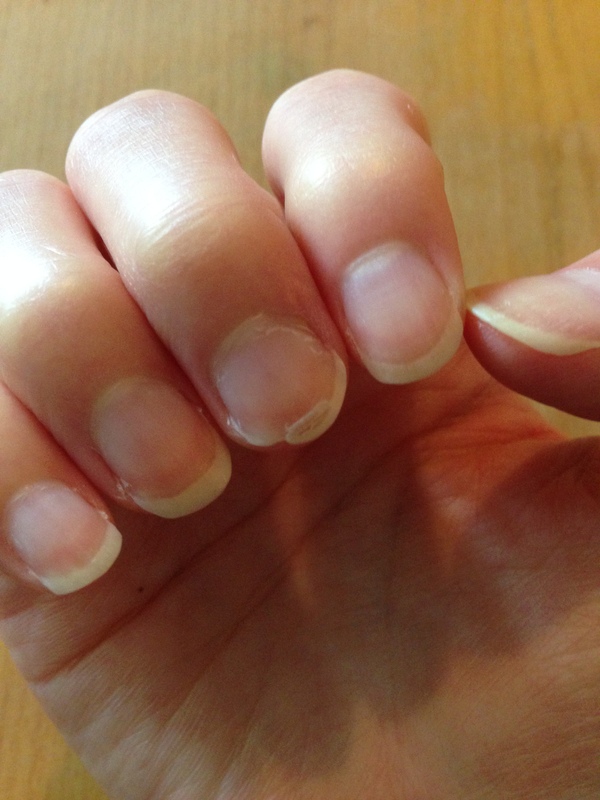 (Need a visual aid?) The rest of the list doesn’t fare much better. I want to say how disheartened I am by the lack of diversity of this list. However, since “Everything is Awesome,” a farcical song that brainwashes beings into not questioning the status quo, is nominated for best song, I’m not sure my lamentation will make any difference.